Indigenous young people are changing the world, for their own future, their peers, communities and the country as a whole. Many are living the teachings carried through time and shared by Indigenous Elders such as courage, wisdom, respect, love, honesty, truth and humility. An increasing number are mobilizing and learning their languages, culture and history. They are creating movements that are ensuring young voices are being heard, and increasingly, leaders are listening. Young people are change makers. That said, there have been many reports on the numbers of Indigenous youth in Canada who are not completing high school or not going onto post-secondary studies. These reports highlight the numerous challenges Indigenous students face every day that can prevent them from finding success in school settings. 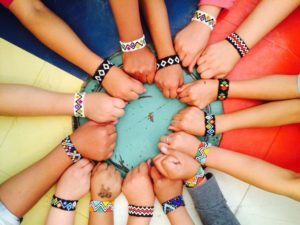 These challenges are very much part of many Indigenous students lived experiences … yet there are many initiatives, programs and classrooms from Canada’s North to First Nations and in urban centres across the country where Indigenous students are not only surviving in school settings – they are thriving. The ingredients that lead to success may differ from class to class and school to school but the common element is people who are responding to the critical issues facing students and engaging in new methods or reintroducing traditional approaches to education. Becoming known as best practices, they are defined by indigenous and non-Indigenous education leaders and organizations and shared as examples of programs that are working. What is absent from the literature and research to date, in identifying best or wise practices in Indigenous education, have been the voices of young people themselves. 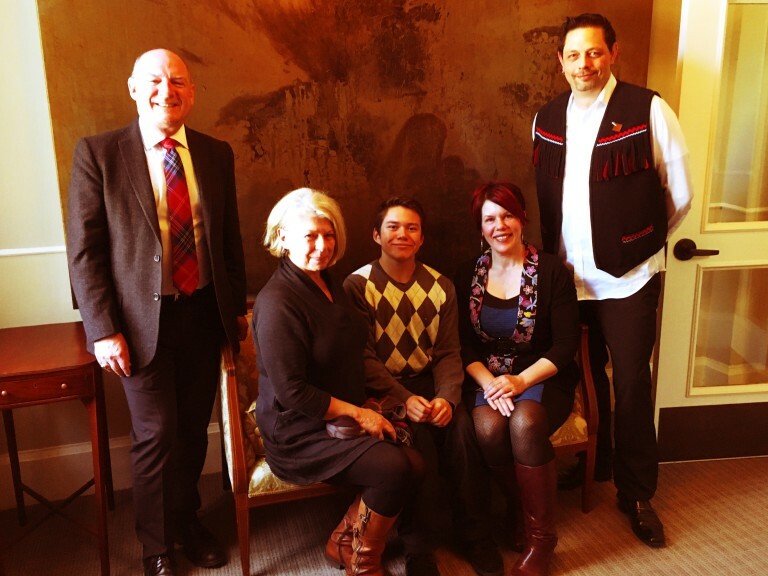 In keeping with the recommendations from many reports on Indigenous education and Indigenous Peoples, Enhancing Indigenous Education Through Co-Creation is a national initiative, convened by The Rideau Hall Foundation and facilitated by Three Things Consulting. Through two gatherings, the project has been driven by the principles of co-creation and collaboration, and incorporate traditional Indigenous world views, perspectives, and processes and be influenced by youth voice, experience and expertise. Participants of diverse ages and backgrounds will be invited to participate and tangibly demonstrate the art of co-creation in good and honourable ways, each sharing their knowledge, experience and expertise. The Gathering of Youth Wisdom took place May 27th – May 30th. Bringing together 36 Indigenous youth, between 15 and 20 years old and with representation from each province and territory this group explored identified issues facing them and their peers. Through a model of discovery and sharing the youth will learn and talk about these critical issues, explore identified best and promising practices addressing it and through a traditional consensus model, came up with recommendations that were carried to the next event, the Enhancing Indigenous Education Through Co-Creation Gathering which took place June 22nd – June 24th. This gathering brought together national Indigenous and non-Indigenous leaders and education experts to discuss their roles as co-creators in developing a national project, informed by Indigenous youth that will support best practice in Indigenous education in order to improve outcomes for Indigenous learners. Three Things Team Members Dale Pearson, Saimaniq Temela, Shannon Monk Payne and Pytor Hodgson with Rideau Hall Foundation President and CEO Scott Haldane.